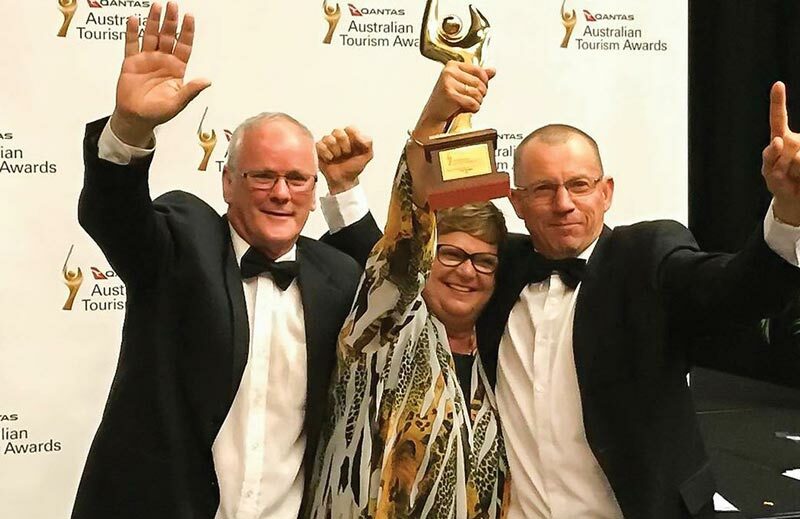 Australian Tourism Industry Council (ATIC) Chair Evan Hall said it is an outstanding achievement with 3 in every 5 gold winners an ATAP business. Furthermore, ATAP businesses represented over 55% of the 2017 finalists further demonstrating the value of ATAP in its support of quality tourism businesses. “The Australian Tourism Accreditation Program supports the continuous development of tourism businesses throughout Australia” he said. The Qantas Australian Tourism Awards, the pinnacle event for the tourism industry, recognises and celebrates businesses that have demonstrated a commitment to quality tourism products and experiences, was held on Friday 23rd February, 2018 at Optus Stadium, Perth. 178 tourism products and experiences competed through a rigorous evaluation process, to take home gold, silver and bronze awards across 25 product categories. The Qantas Australian Tourism Awards are hosted by the Australian Tourism Industry Council and are proudly supported by Qantas, Tourism Australia, Tourism WA and Optus Stadium.